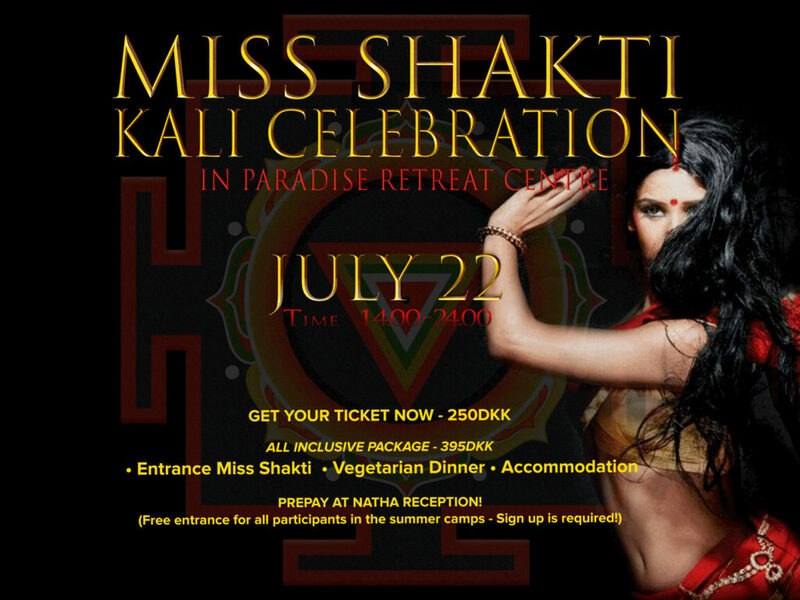 Every year woman from all over the world are uniting their feminine forces to create Miss Shakti – the spectacular Celebration of the Divine Feminine. In the spirit of the Great Cosmic Power Kali, the show will be sensual, intense and full of spontaneous moments which will blow the mind and open the heart of the aspirants who take part full of transfiguration and adoration, both on stage and amongst the audience. For women this is a unique opportunity to explore your femininity, creativity and spontaneity. Previous participants describe the experience as an unforgettable journey supported by a heartfelt field of sisterhood. There are plenty of prices and gifts to acknowledge those who go wholeheartedly transformed on this journey. However it’s not a competition, but a celebration where everyone is enriched! Preparation for participants in the show starts 19th July. If you like to participate please contact us. Participation is free for participants who pay only food and accommodation.